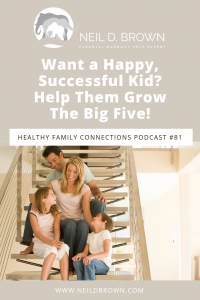 Want a Happy, Successful Kid? Help Them Grow The Big Five! Adolescence and young adulthood are the stages in life when the prefrontal cortex fully develops, that’s the part of the brain that manages our higher order thinking, sometimes called our Executive Functions. So why the heck aren’t we teaching this to our kids? We’ll talk about that and more this week! As you may know by now, I work to find ways to help families avoid or end control battles. Control battles are stressful; they lead to parental burnout and interfere with child, adolescent and young adult development. In fact, I wrote a book about it with lots of ideas on how to avoid and end Control Battles. Well, I just previewed a book that’s due out November 20th, written by my esteemed colleague, Dr. Lara Honos-Webb, author of several books on the subject of ADHD, with her latest book focusing on how to improve one’s executive functioning. It’s called, Brain Hacks; 50 Strategies and Tips to Improve Executive Functioning—Get Organized, Work Smarter, and Stay Cool Under Pressure. I was honored to be selected as an early reviewer but honestly, I thought I was going into your basic “how to” book, certain it would be decent but I wondered how inspiring a book on improving executive functioning could be. I do have ADHD and dyslexia, and for the most part, I’ve figured out how to be productive and successful in life but I thought what the heck, I could benefit from reading it. And man, did I ever. The sense of empowerment and motivation I gained is amazing. I actually feel less burdened and happier. But more than that, it gave me a powerful tool to help my families with. And I’m going to share that tool with you today. Let’s think about this for a second; what are the kinds of fights and arguments that parents and kids get into? Not keeping track of schoolwork, getting home without the right materials. Not knowing what the assignment is. Not staying focused on the work and watching videos instead. Kids getting upset with parents when they hear the word “no”. Kids feeling too anxious or depressed to fulfill responsibilities, take a test or perhaps even go to school. Out of control messy rooms, with old food on plates and clean clothes and dirty clothes mixed up on the floor. Poor eating habits, perhaps creating real medical issues. Kids being upset when they learn that there is a family event that is superseding their plans to hang out with friends. Serial bad choices such as, smoking MJ when they’re allowed to go out on the basis that they wouldn’t. Getting in a car with someone under the influence. Every one of these issues can be fuel for control battles. And every one of these behaviors reflects a lack of Executive Function development. So, these skills are associated with the prefrontal cortex and this part of the brain is the last to develop and grows during adolescence and young adulthood. In fact, our Executive Function grows and develops into our mid-20’s. She explains that the “Big 5” are interconnected, so making improvements in one area will benefit the others. Central to the idea of improving ourselves is Neuroplasticity. All right, so what’s that? It is, and this is big, it’s the brain’s ability to change throughout a person’s life, so nothing about your brain is set in stone; you can change it as a result of the activities you engage in. This ability to actually change our brains means that even if we are without skill in some area, if we put our effort into it, we can get better. Knowing that and living that is what Dr. Lara refers to as a Growth Mindset; of course, she gets that from the research and work of Dr. Carol Dweck. Individuals with a Growth Mindset are happier and more successful than people who think that if they are poor at something today, that simply is that; their intelligence and skill set is fixed. Teaching our kids a growth mindset is the number one thing we can give them during their childhoods and adolescence. That way, they are prepared to take on any of life’s challenges. Yet, we can develop a growth mindset at any age. This means that we can improve our executive function, and we can help our kids grow and develop theirs. In her upcoming book, Dr. Lara gives us lots of examples of client situations where they used these tools. 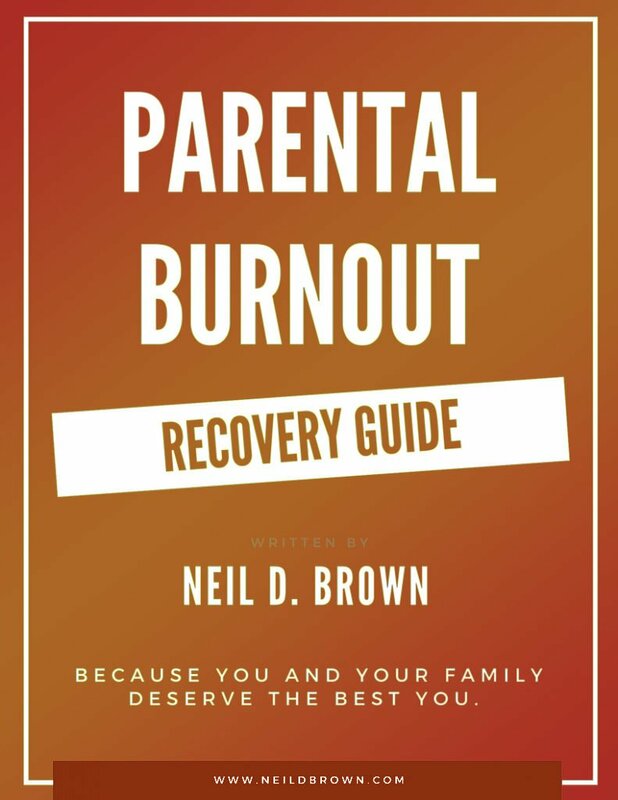 While this book is written for adults like you and me, and the examples surround adults, it struck me that although I work with them, and often couples, I also work a lot with families; particularly those with teenagers and young adults. It came to me very clearly as I read Brain Hacks that every one of those challenging behaviors our kids are presenting, is an opportunity to help them grow their executive function. You may have noticed in your child's school that there are signs on the walls that articulate values such as responsibility, kindness, honesty, and respect. While at home, you're having values discussions with your kids about helping out, contributing, being nicer to their sibling, being more responsible, etc. A Mom and Dad came in with their son, a high school sophomore who wanted to quit his high school and go to a continuation school. Why? Well, he didn’t make the baseball team and that was what he really loved and that’s where his friends are and now he’s on the outside of that crowd. Also, he found himself needing to work harder to keep up where he didn’t have to as much before. With low social support and work getting harder, his motivation was low and he couldn’t get himself to feel good about going to school. His Mom and Dad were concerned that he was depressed and wondered if he needed therapy for depression and they wanted help making the decision about school. Going to school or changing schools was starting to be a constant fight at home. I could see this kid had a load of talent. For one, he was clearly a natural athlete; he mastered any activity he tried including snowboarding, skateboarding, and unicycling. He had excellent verbal skills as he was able to describe his feelings and share his thoughts at a very advanced level. In fact, his communication skills were maybe even better than his parent’s, which made for extended arguments. Seeing his intelligence in this area and the fact that he had done well with a basic effort to this point, I was curious about his struggle with the work and further discussion indicated the likelihood of undiagnosed learning disabilities. I explained to this young man that I understood that he was up against some challenges that were causing him to want to back down. Then I shared how impressed I was with his natural gifts and explained that I absolutely did not want to see him back down from these challenges. I explained about learning disabilities and how once we have them assessed he can get support for his learning style or learning needs, and even improve those areas that aren’t working for him. Clearly, he was a bright, good and engaging kid and I had no doubt that he could make new friends or find ways to connect with his old friends with an attitude shift. The point was that he had some life challenges right now, but with building his executive functions, he could address them. I shared the Big Five with the family and we talked about which ones related to his situation. We agreed that emotional management and cognitive flexibility were most relevant here and that by working on improving those areas, he was investing in himself in a way that would make him a stronger, more confident, more resilient person, and if we give into the stresses of his current situation, he’d be losing that opportunity. Mom and her 14-year-old son came in for their weekly appointment. It was scheduled at a different time than usual and he was beside himself that he wasn’t at home playing a video game with his online gaming friends as he had planned. His Mom tried to calm him down, she talked about the importance of the counseling, I talked about how common it is to have to do things we don’t want to do, but for everything we said, he had an emotional and angry response; “why do I need counseling anyway, this is stupid, my friends don’t have to go to counseling, they get to play as much video games as they want to”, and I could see that there was nothing to be gained by trying to convince him of anything; so I turned towards Mom and talked about how things were going in general and she reported pretty good improvement overall and a good week up until now, with good cooperation. I knew they had chaotic lives so I asked about how they do dinner together and Mom said they usually do take-out or stop at the taco stand. She explained that she needs to bring work home so between helping her son with homework and doing her own, there was little time for preparing a dinner. She said often on the weekends she makes a pot of chili because that’s something he always likes, and curiously, her son started to laugh. Then he admitted that he doesn’t really like chili much, he just said he did because his sister hates it and it was his way of having Mom make something his sister hates. He laughed, mom laughed and I joined them. He was suffering just to make his sister suffer more. How stupid was that? I chose to ignore the issue of the hurtful behavior towards his sister but focused on how his mood changed from miserable and angry to laughing and feeling better. How did that happen? He said when he thought about how stupid the whole thing was, and how Mom thought she was cooking something he really liked, it just made him laugh. Mom and I congratulated him on using a skill to change how he feels. He thought about something funny and that made his frustration and disappointment of having to go to counseling less upsetting. We wrote the Big Five on the whiteboard and talked about how he can use that skill and other ones to continue to invest in himself. So here is what I’m suggesting. Let’s make growing and improving our executive functions a family affair. As parents, let’s model it and be public about our areas of opportunity and always have some area we’re working on. So for instance, if you have the habit of getting upset with your kids when they don’t respond to your requests, make it public that you need to manage your emotions better when you don’t get the response your looking for. Or, take up watercolor painting, tennis or flute lessons. Put a chart up on the wall someplace that lists the Big Five. Then, when there are behaviors your teenagers or young adults and even your preteens need to work on, talk about which of the Big Five they can work on and invite them to build a strategy using Dr. Lara’s book. And of course, when they are doing well don’t miss the opportunity to talk about how well they are growing their executive function. The subject of growing ourselves by growing our Big Five should be a regular part of our conversation with our kids. The untapped potential of this concept is profound. Now I’ve got my notebook with me and areas of my life, especially organizational issues, are on an improvement plan. And I’m having more fun. With her encouragement, I’m doing more fun, spontaneous things and they’re making me feel free and happy. When Dr. Lara’s book comes out in November, I’m going to get myself two copies, one for the nightstand, and one for the office. How many are you going to get? Thanks for tuning in everyone and special thanks to Dr. Lara Honos-Webb for her expertise shared in her upcoming Book, Brain Hacks; 50 Strategies and Tips to Improve Executive Functioning—Get Organized, Work Smarter, and Stay Cool Under Pressure. It’s not out just yet so don’t confuse it with other titles that start with Brain Hacks. Hers is the only one written by an expert in the field; we should be able to pre-order it soon. And I’d like to remind you all to please take care of yourselves. You need it, you deserve it, you’re worth it. Bye for now.